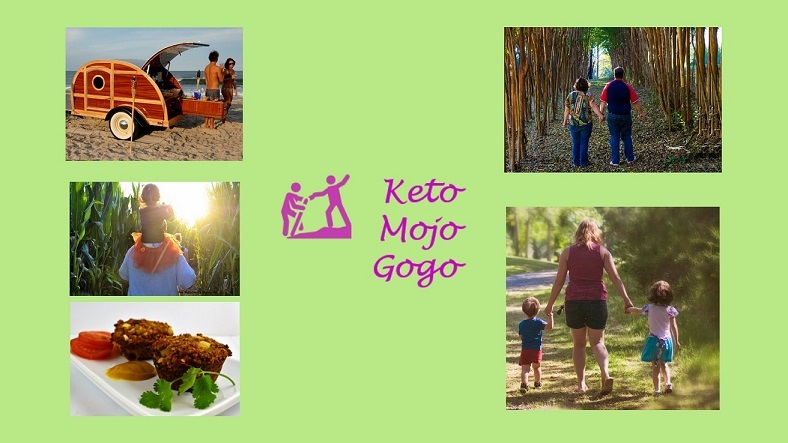 KetoMojoGogo: Let's Start with the Basics - What is Keto? In the past, Shauna and I started on a diet before we knew everything involved. It is understandable because you want to lose weight and you don't want to wait even one minute longer. We did this for years with every type of diet we tried whether it was Weight Watchers, Adkins, DASH and even a little with the Ketogenic diet. The difference now is that so much more is available on YouTube and the internet than ever before. You are not limited to a certain book or group meetings to get your information. However, jumping into something before you completely understand the process can set you up for failure. For example, we had a feeling that a low carbohydrate diet was the best method to lose weight, but we were ignorant of how important fat is to our metabolism. We had attempted an Adkins or Modified Adkins Diet off and on for several years. We would be successful for a time, then fail and gain all of our weight back in a few months, which is discouraging. Then we went Vegetarian for a year and jogged 20 - 30 miles every week. I lost 50 pounds but then found out that a restrictive calorie diet and continuing that kind of punishment was not sustainable. I, of course, gained all that weight back. Jumping in half-informed into a Ketogenic Diet can actually be dangerous. In this case, you are actually toying with your metabolism and even your physiology. This could actually cause physical damage, so I urge you to be very careful. If that happens, you will become one of the "Look what Ketosis did to my body" people. But this just isn't our story, this is the story of 60% of Americans and growing. Every one of us has an intense desire to be fit and not fat. But, what all of us need is a sustainable lifestyle. The "Eat Less and Move More" solution sounds great on paper. Calories out > calories in = weight loss. But if that is the case, then why are more people getting fat? The short answer is that our bodies rebel against this "solution". It defends itself by slowing down your metabolism and increasing your hunger. So while you are killing yourself, working out and burning calories, your at-rest metabolism slows to a crawl and you begin eating more calories than ever before. This again sounds great on paper. The problem: What is the definition of moderation? Does your body's cravings respect "moderation"? If you are like the majority of Americans, nope. I could put everything that we say in writing on this blog, but we take some time to break out what you should eat (most of), what you should eat in moderation and what you should completely avoid along with some reasons. 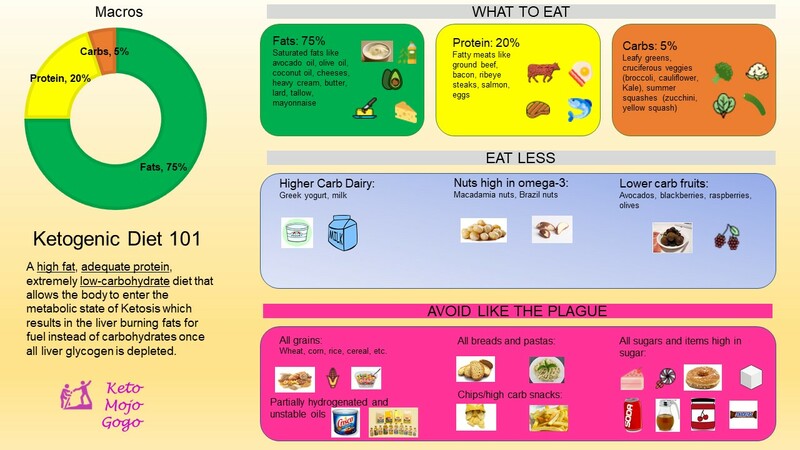 We break out the macros (Percent of Calories) for Fats, Protein, and Carbs. We don't want to steal that thunder. This first video is just the basic about what the Ketogenic Diet is. We are not even talking about the benefits and challenges yet. If you really want to begin a Ketogenic Diet or any other regimen, you need to start somewhere. We are sharing our experience and hope that we can be your support mechanism (and vice versa). What About Keto Cheat Days?